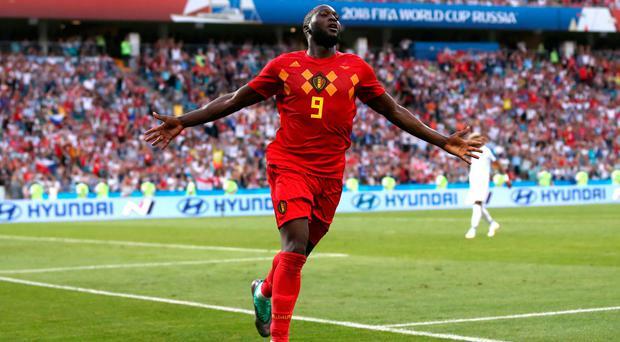 Belgium wore down World Cup debutants Panama in their opening game in Sochi, with Romelu Lukaku's brace helping them a 3-0 win. Lukaku netted twice in the second half after Dries Mertens opened the scoring as Belgium showed great patience in a game they easily controlled from start to finish. The star-studded Belgians dominated the opening 45 minutes but could not find a breakthrough as Panama goalkeeper Jaime Penedo kept them out. Penedo clawed away an early effort from Mertens before producing an even better save to deny Eden Hazard late in the half. Belgium grabbed the lead two minutes into the second half with a wonder strike from Mertens. The Napoli midfielder waited for the ball to drop from a headed clearance and hit a fine volley from the corner of the 18 yard area. The ball flew across goal into the opposite corner to put Belgium ahead. Belgium extended their lead with a little over 20 minutes to go through Lukaku. Kevin de Bruyne curled the ball with the outside of his right foot across goal and Lukaku was in place to meet it with a diving header which made it 2-0 to put Belgium in charge of the game. Belgium made it three a matter of minutes later and it was Lukaku again who found the net. A Panama move broke down on the edge of the Belgium box and the ball was quickly played forward to Hazard. The midfielder played it through to Lukaku and he clipped the ball over the keeper to make it 3-0. Belgium next face Tunisia in Moscow on Saturday with qualification for the knockout stages in their minds, while Panama will take on England on Sunday in Nizhny Novgorod.